Ah, Islamorada! My favorite destination in the Keys! 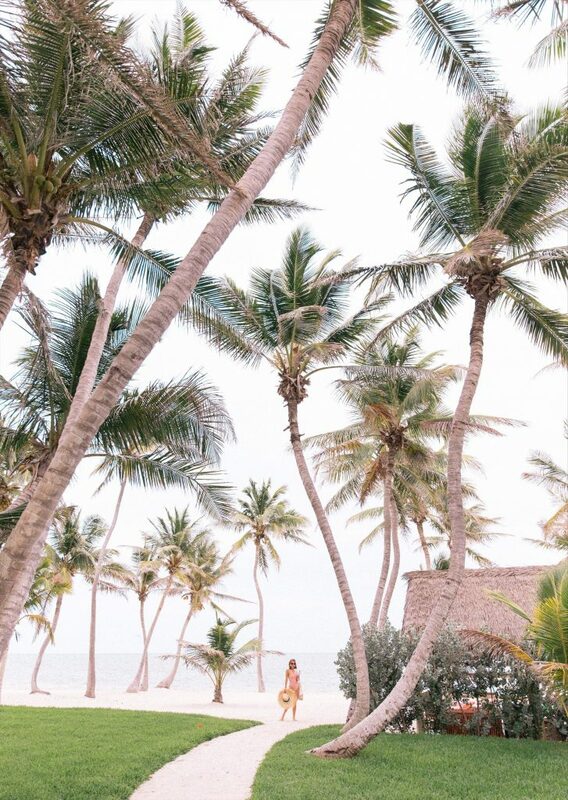 Nestled between Key Largo and Key West, Islamorada is a quick three-hour drive from West Palm Beach where you will find palms for days and a serene beach front. We stayed at a small resort called The Moorings where we rented a quaint bungalow for the holiday weekend. It came equipped with everything from a brand new full-size kitchen to beach cruisers. And the view?! Don’t even get me started… the second you opened the two french doors, you walked right outside into the most gorgeous beach. I’m already counting down the days until my next visit! If you’re a young couple looking for a romantic getaway or have a small family, the Moorings is the place for you! I packed lots of cute dress and jumpsuits, easy tops and a ton of swimsuits including this one-piece swimsuit from Miami-based designer, Luli Fama via Zappos! (#represent) What I love about this style is the cut. It doubles as a bodysuit which can be worn underneath loose fitted pants or a midi skirt or as bathing suit. The color is the most beautiful shade of pink (Chelsea Anne, my photographer, kept saying how beautiful the color was!) which compliments my tan skin and brown hair very well. I also love the hint of skin it shows with the tie-up feature and how slimming it makes you feel. A win-win if you ask me! Do yourself a favor and browse Luli Fama’s collection via Zappos. And if you feel like buying this one piece swimsuit or a skimpy bikini – so be it! Just remember that you will look gorgeous either way as long as you feel comfortable. Pretty suit! Not available at Zappos! How did you find the sizing? Pretty suit Like idea that it doubles as a body suit but not available on Zappos! How did you find the sizing? Yes! It’s super practical. I typically wear a size XXS/XS so I went with the smallest available and the sizing was perfect. That said, Luli Fama runs true to size! Love the bathing suit! Been a real big fan of one-pieces this year.